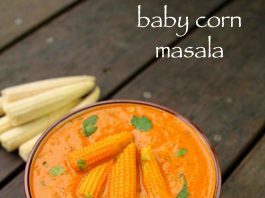 baby corn masala recipe | baby corn gravy | baby corn curry with detailed photo and video recipe. rich and creamy gravy recipe from the popular north indian or punjabi cuisine prepared with tender and fresh baby corns. this is a simple restaurant style creamy recipe, tastes perfect with roti, naan, chapathi or even jeera rice or pulav recipes. 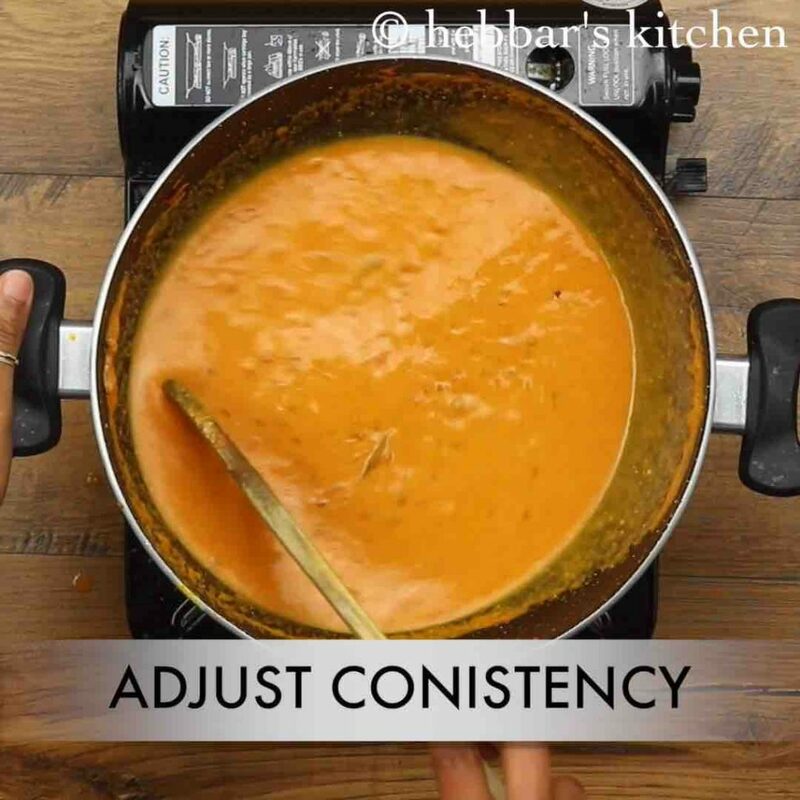 like any other traditional north indian curry recipes, even baby corn gravy is prepared with onion and tomato based sauce in with cashew cream. 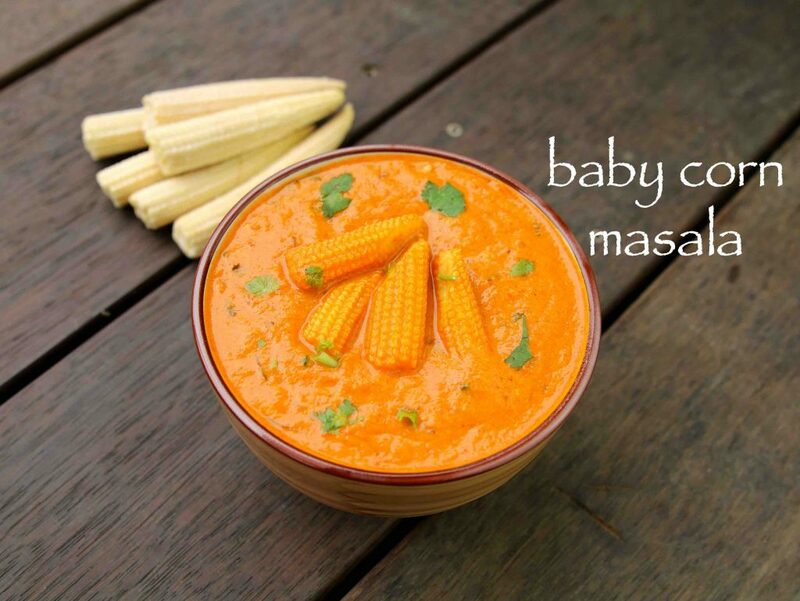 baby corn masala recipe | baby corn gravy | baby corn curry with step by step photo and video recipe. it is an simple and rich cream based curry which has a strong resemblance to other paneer based curries especially to paneer butter masala. the recipe for baby corn curry can be prepared either as stir fry with dry option or as a gravy. i have share very few baby corn recipes and till now i have shared only dry variant of baby corn manchurian. lately even i was receiving several request to share some gravy with tender baby corn kernels. i had not shared it till now is just because baby corn curries are not appreciated in my family. but there is no issue when mixed with other veggies in a curry or in a indo chinese recipes. i frequently add it to my fried rice or veg noodles recipes and it tastes great when stir fried. 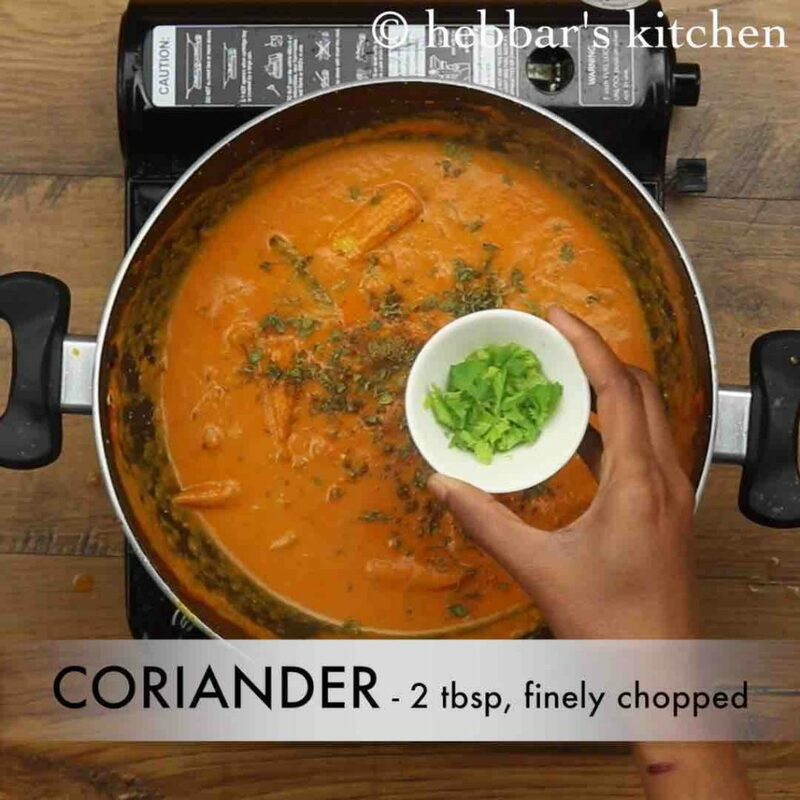 i personally love it and is one of the favourite curry recipe, especially when it is prepared with tender ones. while the recipe is extremely simple to prepare, yet i would like to share some tips, variations and serving suggestions for baby corn masala recipe. firstly, as mentioned previously i would heavily recommend to use tender baby corn for this recipe. usually baby corn’s are sold together in a bunch of 6-7 in a pack and make sure it is fresh and tender while purchasing. secondly, the same recipe can be extended further by adding grounded cashew and coconut and it can be referred as baby corn kurma. in addition, the same recipe can also be extended further by adding veggies like paneer, mushroom and potatoes to prepare mix vegetables masala recipe. 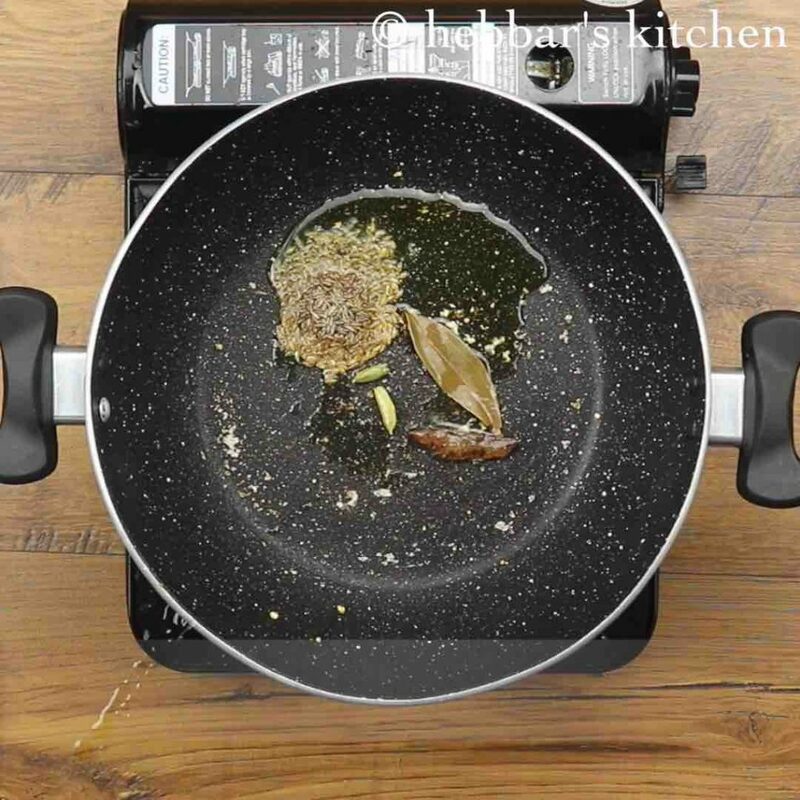 in the same kadai heat 3 tsp oil and saute 1 bay leaf, 1 inch cinnamon, 2 pods cardamom and 1 tsp cumin till it turns aromatic. saute 1 onion and 1 tsp ginger garlic paste. 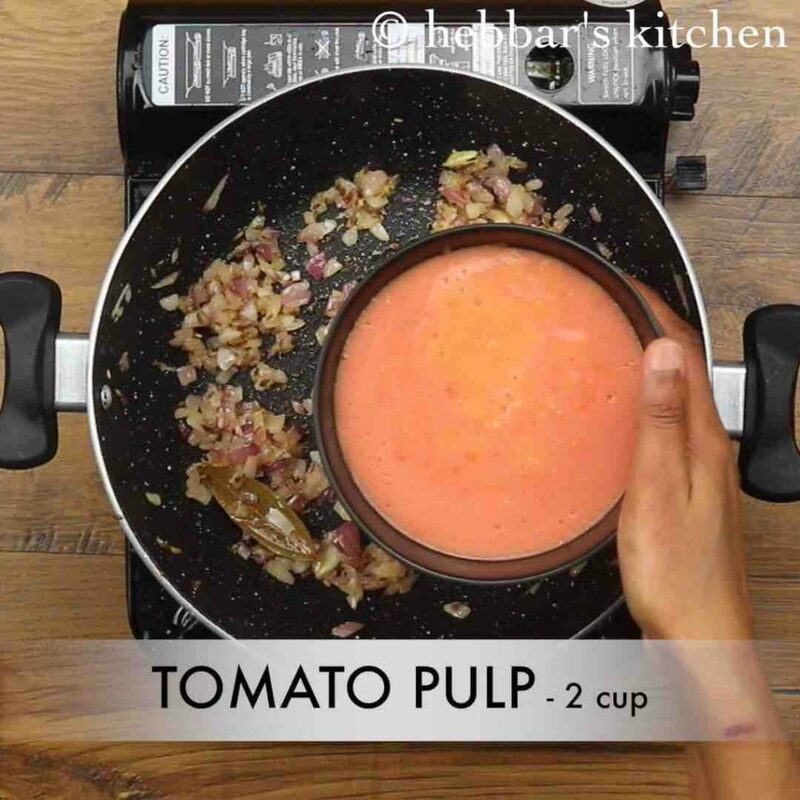 further add 2 cups of tomato pulp, cover and cook for 15 minutes. 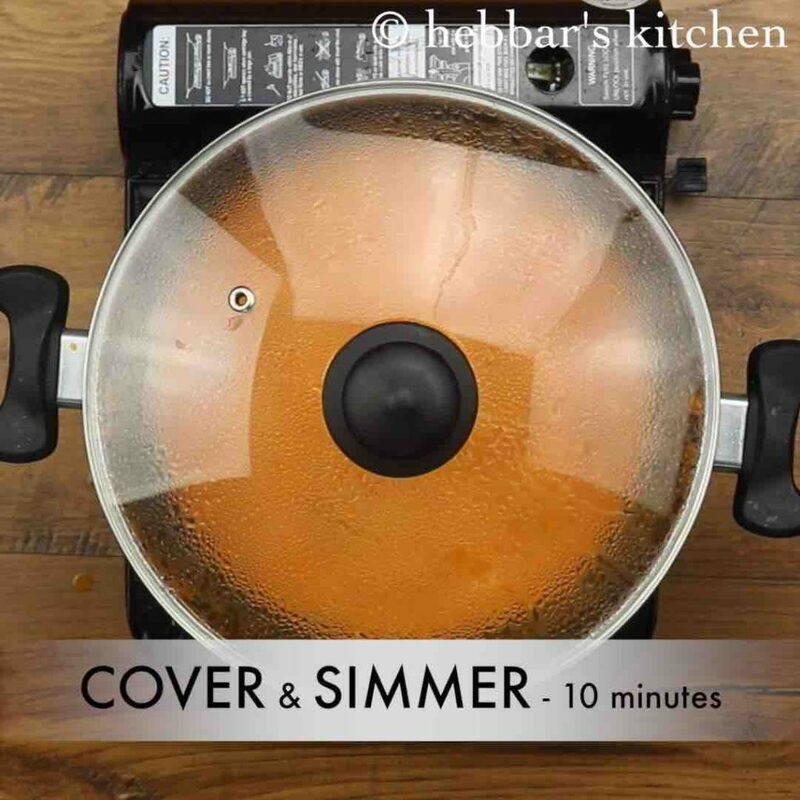 further add ¼ tsp turmeric, 1 tsp chilli powder, 1 tsp coriander powder, ¼ tsp cumin powder and 1 tsp salt. saute on low flame till the oil separates. now add 1 cup of water and ¼ cup cashew paste. mix well making adjusting consistency as required. 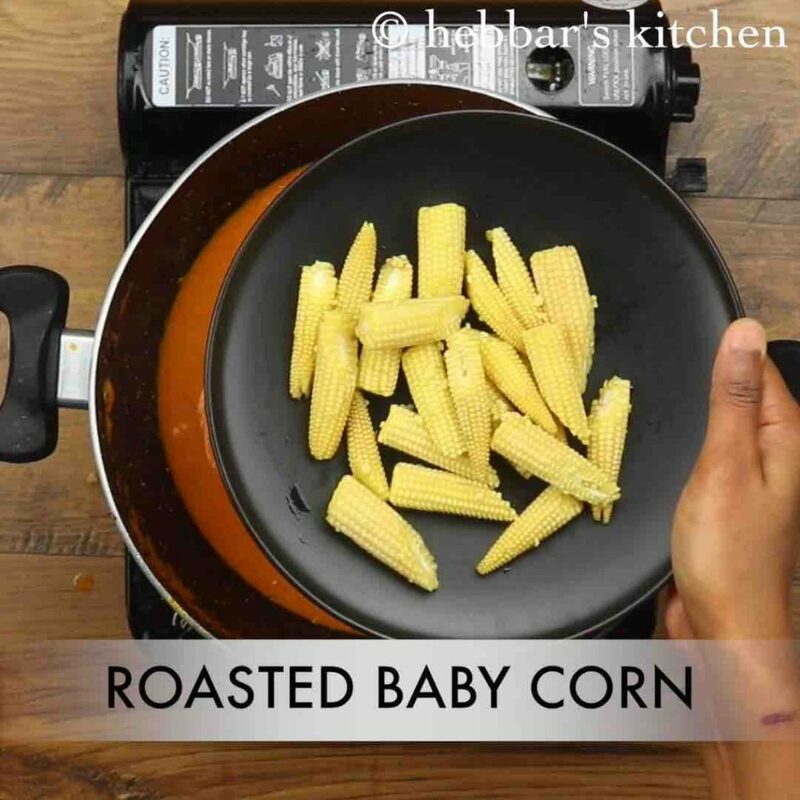 add in roasted baby corn and stir well. cover and cook for 10 minutes or till baby corn cooks well. 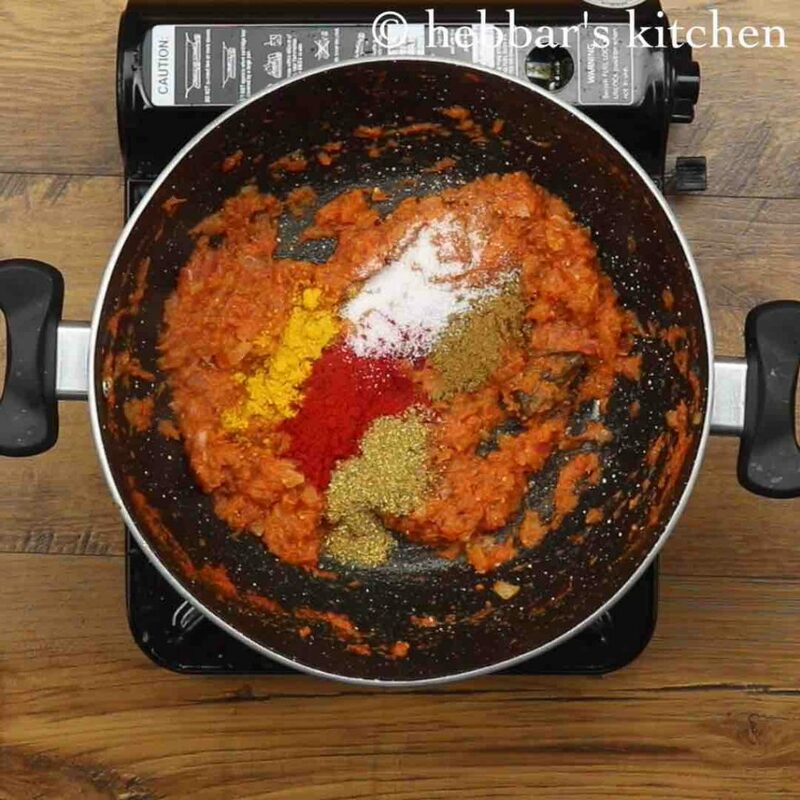 furthermore add in ¼ tsp garam masala, 1 tsp kasuri methi and 2 tbsp coriander leaves. mix well. finally, serve baby corn masala with roti or naan. 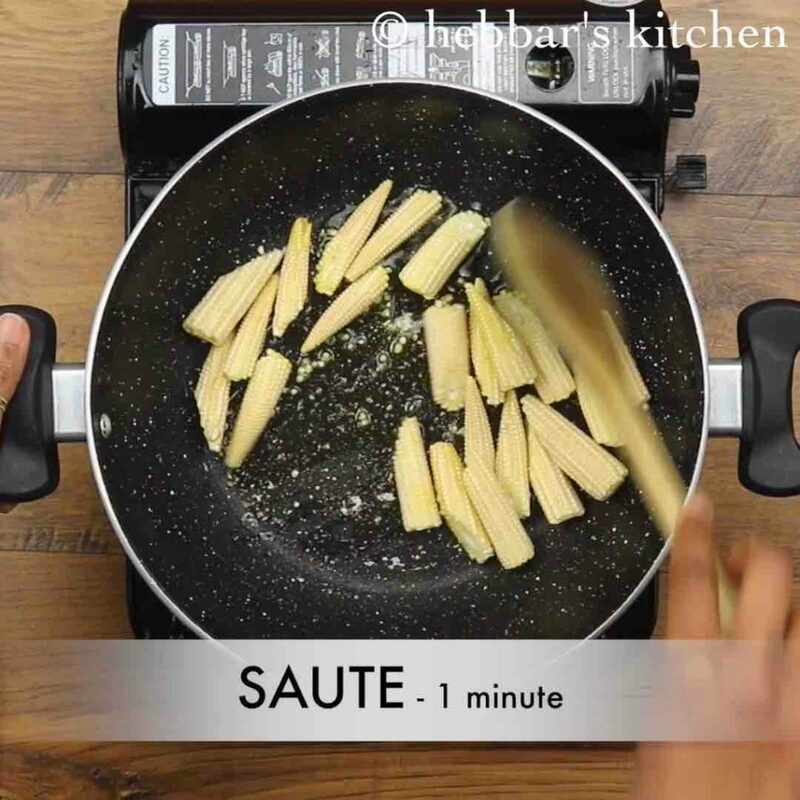 firstly, saute 9 baby corn in 3 tsp oil for a minute. transfer to a plate and keep aside. 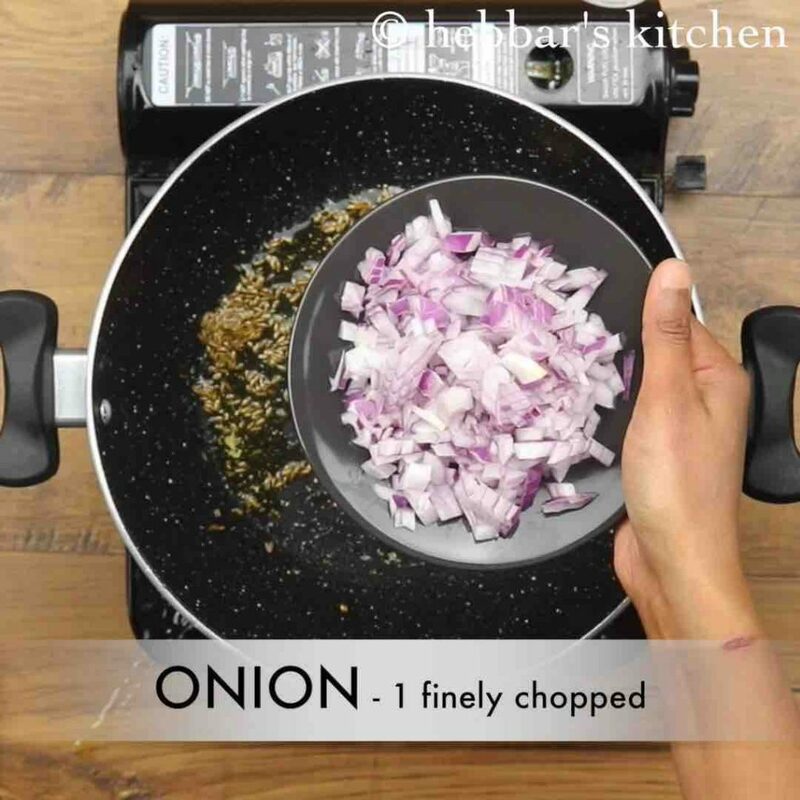 add in 1 onion and saute well. 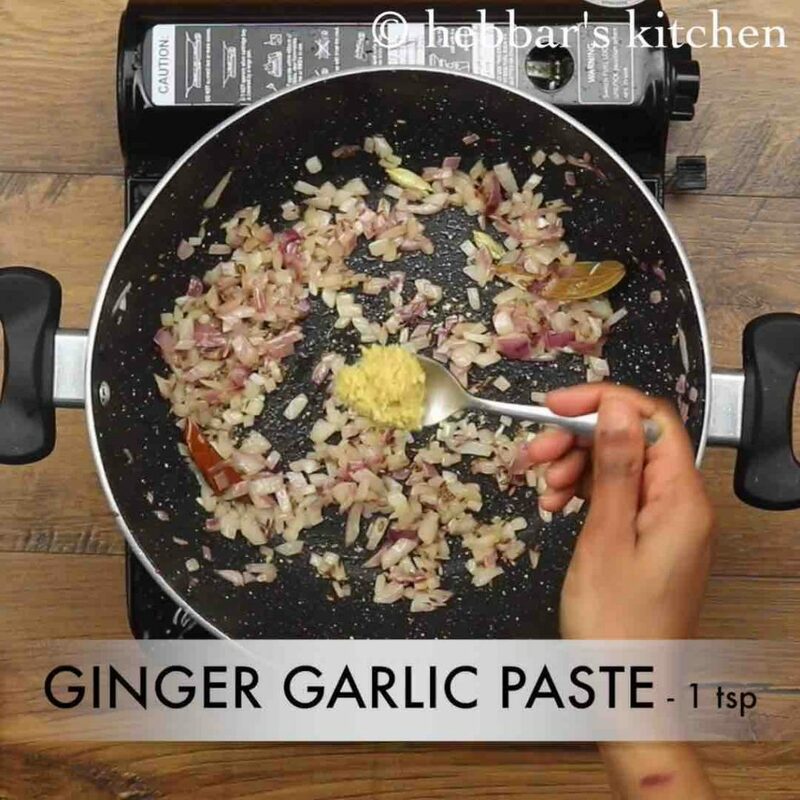 also saute 1 tsp ginger garlic paste till the raw aroma disappears. further add 2 cups of tomato pulp. to prepare tomato pulp blend 3 tomatoes. 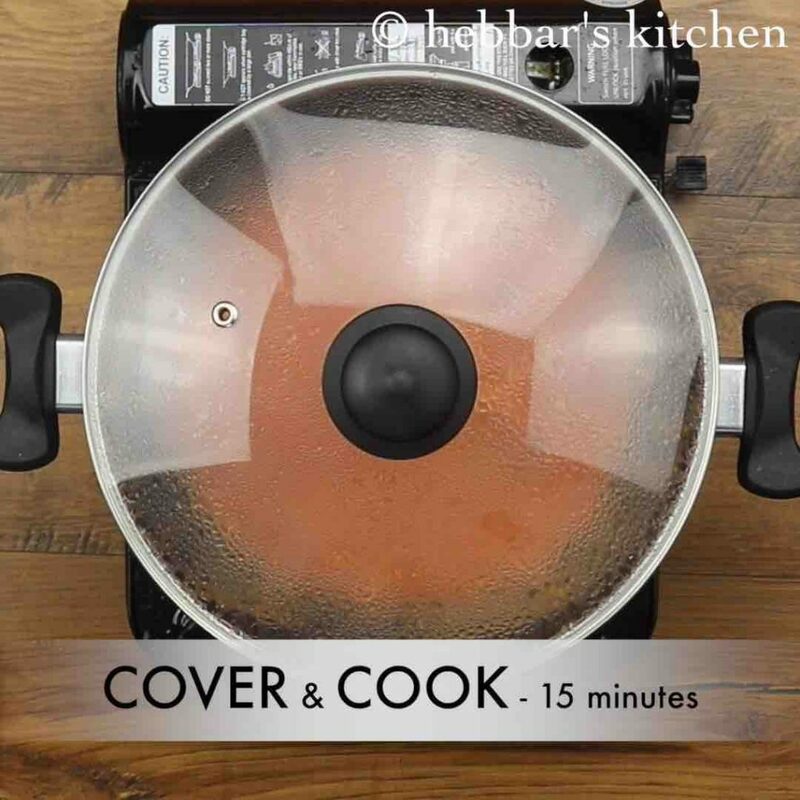 mix well, cover and cook for 15 minutes or till the tomato puree thickens. now add 1 cup of water and ¼ cup cashew paste. 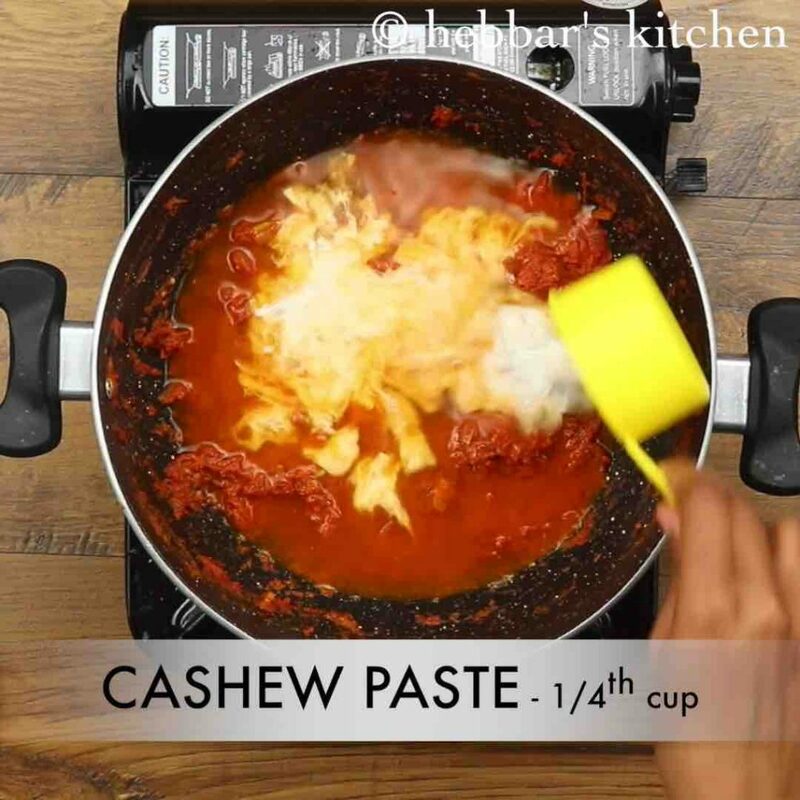 to prepare cashew paste, soak 5 cashew in ¼ cup hot water and blend to smooth paste. 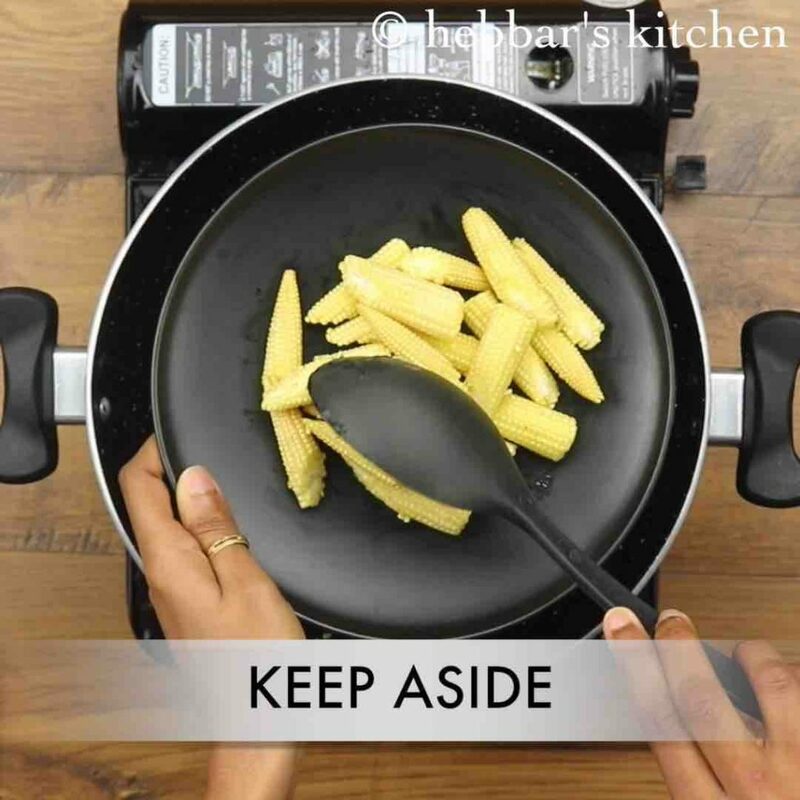 firstly, chop the baby corn to the shape of your choice. also cook the tomato pulp well, else the curry taste raw. further, add peas or capsicum along with baby corn for variation. 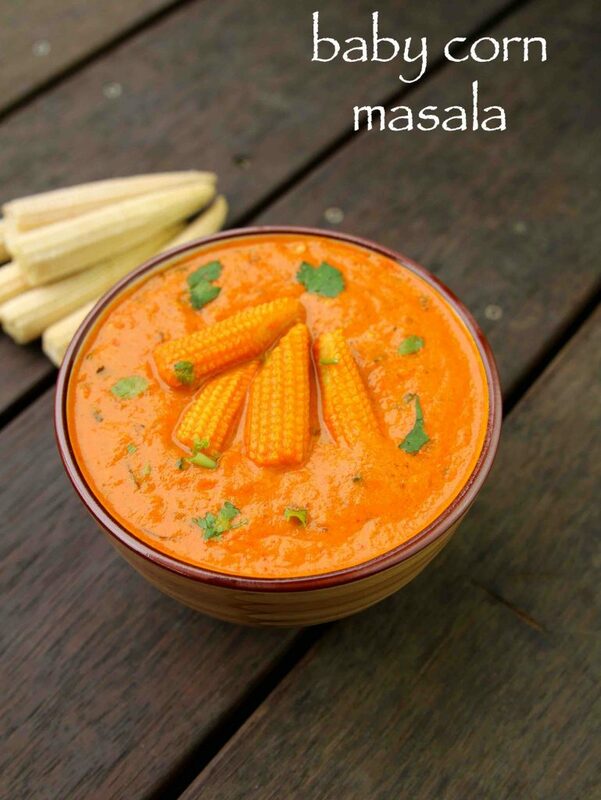 finally, baby corn masala taste great when prepared slightly creamy. 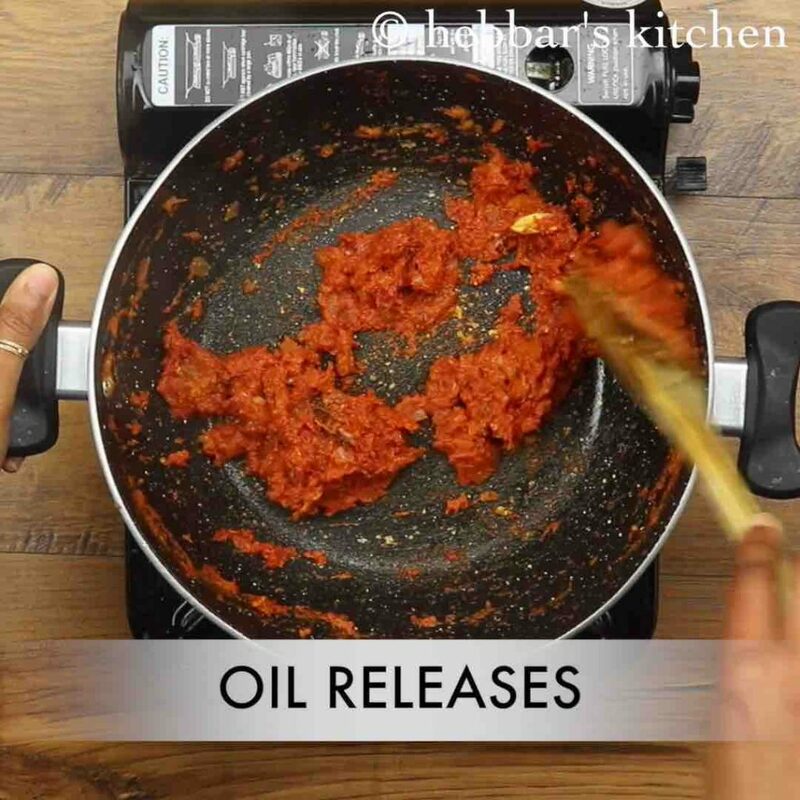 Did u boil tomatoes for puree or its just raw tomatoes puree?